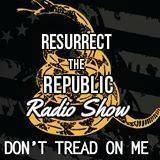 Join us on Resurrect the Republic Truth Radio Broadcast (RTRTruthMedia.blogspot.com) on Monday 7 to 9 pm CST with our special guest, Angela Clemons. We will cover the entrapment of American Christian Political Prisoner Schaeffer Cox and discuss why we think Schaeffer was targeted and what people can do to help free this charismatic, inspiring leader of liberty. Schaeffer Cox was arrested and put on trial for “conspiracy against the government.” The prosecution was led by Steve Skrocki and ... See More Joseph Bottini, the same people that were held in contempt of court for hiding evidence in several related trials of Alaska political personalities including Senator Ted Stevens. Visit Schaeffer's websites to learn about this man and then educate others. If we let them do this to Schaeffer, they can and will do it to any of us. We can not appeal to the same corrupt system that has imprisoned Schaeffer to set him free. Our appeal is to heaven.